Here’s a fair example of pond life behaviour and general stupidity in Nottingham. 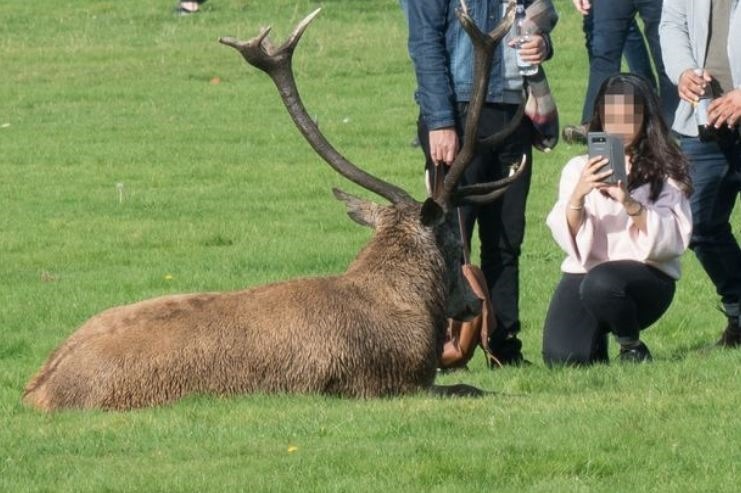 The city is fortunate in having an attractive park within its boundary named Wollaton Park which red and fallow deer inhabit. The deer is a symbolic animal in Nottingham quite literally, forming part of the city coat of arms and so it’s particularly satisfying to to see these fine animals, happy and accessible to view from a safe distance. 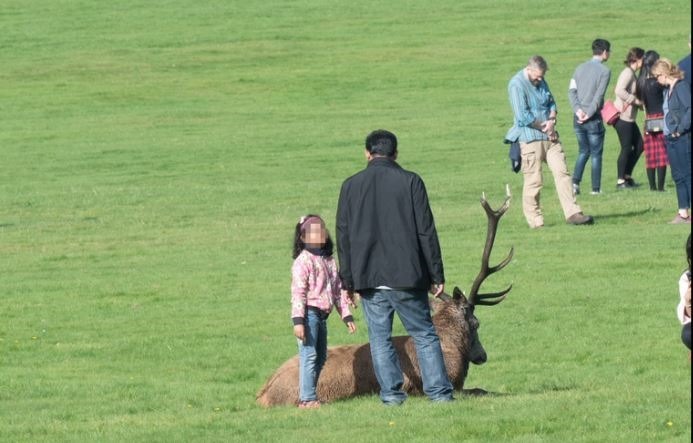 Today’s local newspaper has some quite disturbing images of people approaching the deer in rutting season, perhaps the worst one of a young child with an adult who should really know better. 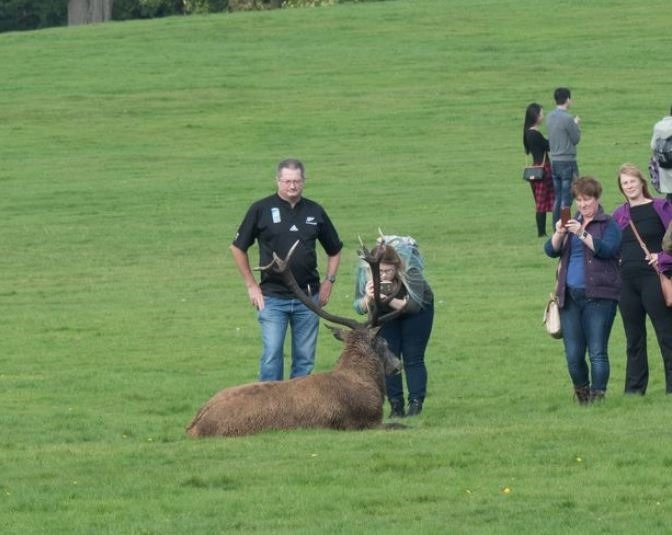 Another with a young fool manhandling a red deer. 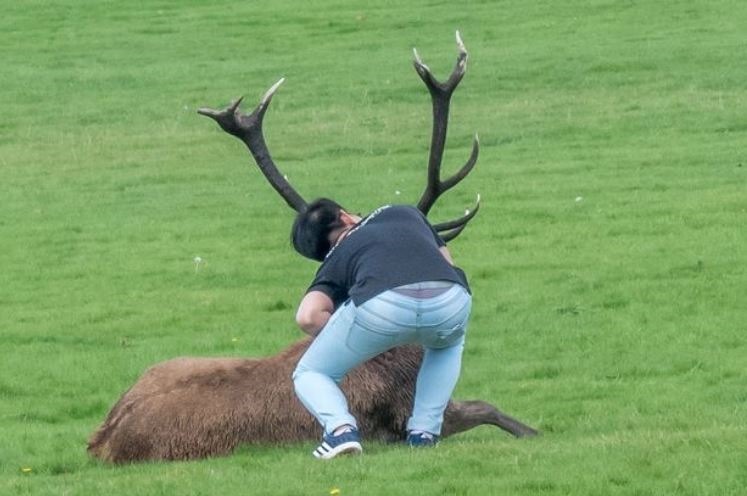 Excepting the child, I would have no sympathy if these people came to grief for antagonising the animals. It occurs to me though that if they were attacked, sadly, the animals themselves would come under scrutiny.